« RANT: Fit Mags Needs to Shape Up! 100 Calorie Snacks REAL People Eat! Fitness magazines are always featuring healthy foods for under “whatever” calories – but how often are you disappointed in what they are saying? Although there are definitely times the suggestions are OK, there are many times I’m thinking “Oh yeah, I’ll just whip that 25-ingredient snack right up. NOT!” Or maybe the snack is more like a tasteless piece of cardboard with some light Ranch dressing on it – or it’s a vegetable I’ve never even heard of! What better way to get REAL ideas than from REAL people who are living to get fit each and every day? 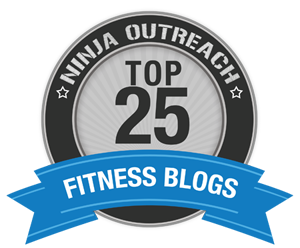 So I called on my friends at FitFluential, fit peeps varying from fitness professionals to people on their own personal fitness journey. I asked them to share their favorite 100 calorie food/drink. PS: I didn’t say it had to be healthy – it just had to be worth it! My Findings? Well, let’s just say the answers are a LOT more simple than you’d think. A snack doesn’t have to be complicated. A snack serves one primary purpose – to keep fuel in your tank so you keep burning calories and have energy. Most people freeze up when they are trying to figure out how to snack at work or how to eat 5-6 times a day. “I’m too busy to eat”, they say. Many of the snacks listed in this blog are great on the go. Read on and learn from the best! Bonnie Talley Pfiester OK, We’ll start with meee!! My favorite snack hands down is 100 calorie popcorn. I like that I can eat a bowl full of those crunchy salty puffy things for only 100 calories – instead of eating 10 potato chips. Makes me feel like I’m getting SUCH a deal! Tina Reale Mine is seriously an apple. The crunch and sweetness always satisfy me. Toni Church ‎100 calorie pack unsalted almonds. Julie Fagan A simple spoonful of peanut butter! It’s fast, full of healthy fat and satisfying protein. Definitely my go-to snack! Shari Friedman Fage Plain 2% Greek Yogurt sprinkled with cinnamon and ground flax… yummmm. It’s creamy, satiating and nutrient-rich. Lindsay Mashburn Wright Best way to eat 100 calories? Chobani yogurt 0% Plain w/ a little honey mixed in!! Amanda Loudin Dates! Four of them gives you about 100 calories and they are quite filling! Morgan Shuker ‎2 crackers to scoop up a dollop of hummus on each – fastest and most filling. Theodora Blanchfield A piece of dark chocolate! Erin Elberson Lyon I’m simple. A naturally gluten free, small to medium apple and a tiny bit of cheese. Heather Rusch Gonzalez Starbucks grande non-fat misto with caramel – 70 cals! Michele King Gonzalez Between 1/4 – 1/5 of raw avocado (depends on size of avocado) with 1/3 of serving (5 crisps) of Thin Crisps (Triscuits). It’s the perfect combination of sweet and salty! Alexandra Williams My fave 100 kcal food is garlic hummus on an ancient grains tortilla. Dawn Dolobowsky A honeycrisp apple. LOVE THEM. Katelyn Block Hands-down, my favorite 100 calories is a couple of baby gala apples. They are so fresh and crispy! Robin Elton I’m going to throw in a vote for Pink Lady apples just to make sure their sweet, sweet curves get represented. After my “facebook interview”, it’s painfully obvious the media tends to overcomplicate things. Look how simple some of these great snack ideas are – and most were healthy. Besides, healthy is managing your calories even if you must have chocolate! The moral of the story is – quit searching for crazy off-the-wall tricks to snacking and eating healthy. Go simple – and don’t forget some of the best snacks came straight from the ground! CHANGE YOUR BRAIN: RETHINK YOUR SNACK. Quit thinking about what you want to taste, and start thinking about what your body needs. Don’t even give yourself a chance to dream of what you “want” and just focus on what you need. The more you fantasize about other foods, the more disappointed you’ll be in your 100 calorie snack pack. Instead, get on autopilot and start flying to your goal! Subscribe to my blog for more real-life fitness tips! wow, it is really possible to enjoy your favorite music anytime for free on any OS you use. This program is really best. good it is possible to relish your favorite music anytime of night or the day. This program is advantageous nice. good It is possible to upload video to YouTube, along with an optional message sending to Twitter and Facebook.nice. I have no idea – can you not read this blog? Trek Mix from Trader Joe’s – it has almonds, cashews and cranberries. Problem is sometimes I will consume most of the bag…..
Great post!! Thanks for including me!! Thanks for the link love!! Wonderful snack suggestions too! I actually just had my Chobani Champions yogurt – exactly 100 calories! I’m going to bookmark this post and refer to it the next time I go food shopping! I am always looking for new, healthy snacks to have in the house for when I need a little fuel! Thanks for the link love and I love the “moral of the story”. The healthiest and most balanced eats are usually the most basic. The KISS method works for nutrition and fitness, people! what a wonderful, wonderful round-up! thanks so much for putting this together (and for finding a tasty photo to illustrate my go-to snack). this is perfect! i will be sure to link this to my readers. I have to agree with the photo! It TOTally made me want to go mash some blueberries and have a muffin!! If only I had groceries!!! Need. To. Shop! !